If you want to escape from life's hustle and bustle, then this is the place to stay. 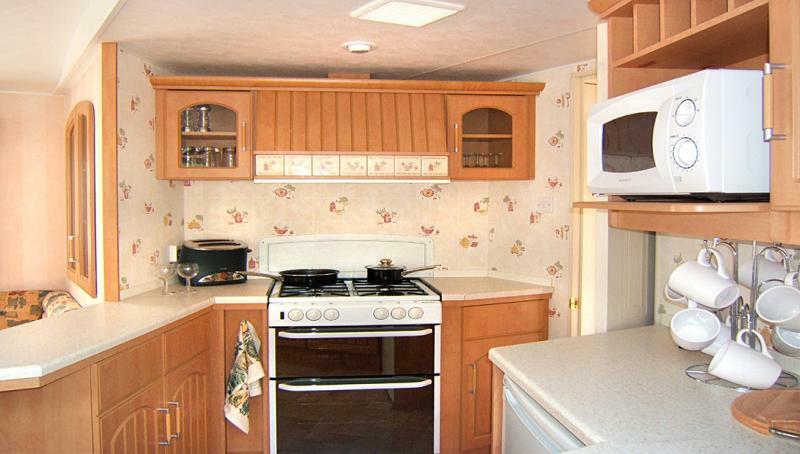 The caravan has a beautiful panoramic view over the East Sussex countryside. A large area of decking with comfortable seating and tables provides the perfect place to lounge peacefully in the evenings, eating and drinking and watching the sun go down after a busy day exploring all that the area has to offer. The Park now has a well appointed family swimming pool and Gym if you're feeling energetic. 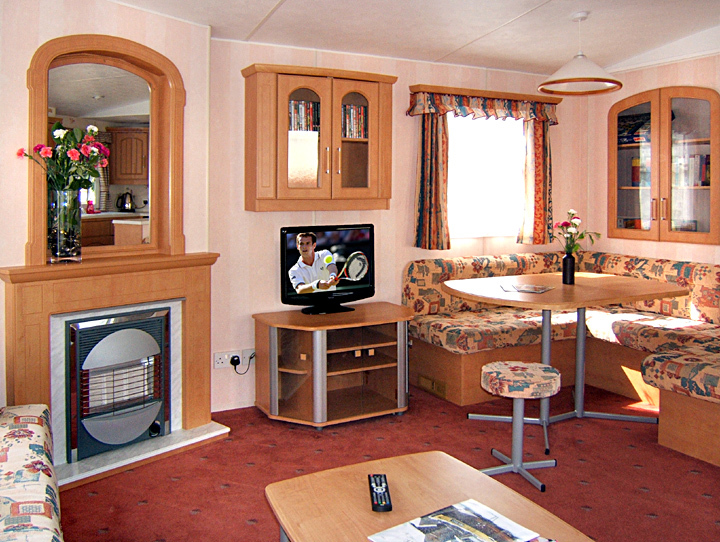 The Living Room area has a comfortable range of seating with a TV/DVD player (including a wide selection of DVDs). There is a separate Dining Room area with further seating and shelves full of books and games to please all tastes. The Kitchen and Dining areas are well set-out and stocked with all the kitchen appliances you might need during your stay; including a gas oven and hob, fridge, microwave oven, ironing board and iron, blender, toaster, etc. Also crockery and cutlery to serve up to 8 guests at a sitting. There are two bathroom areas: One contains a roomy shower, wash -basin and toilet, and the other has a wash-basin and toilet. Freshly laundered towels are supplied, along with complimentary soaps, shower gels and toilet supplies. The master bedroom has a good-sized double bed. In addition, there are two rooms each with twin single beds. 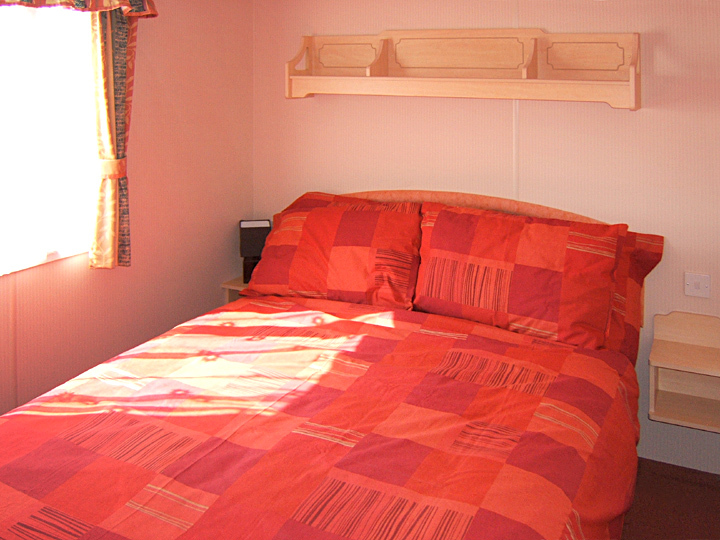 The beds are made-up with duvets and freshly laundered sheets and pillow-cases, with extra bedding readily available if required. 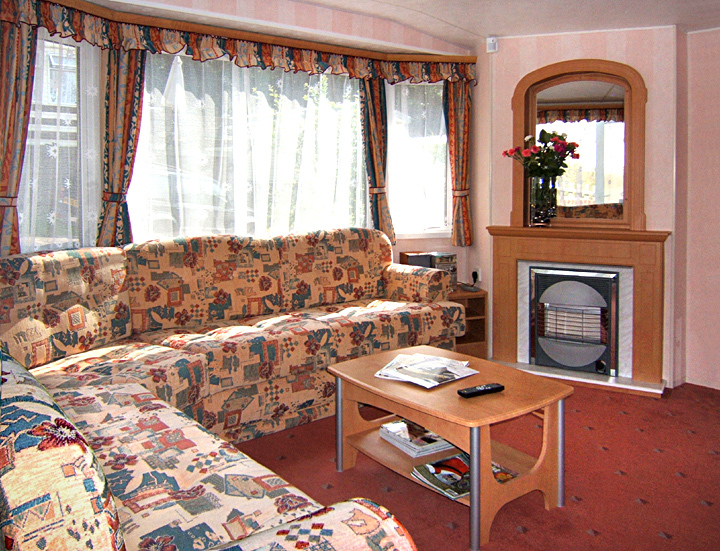 There is also a comfortable pull-out double bed under the seating in the lounge. The price per week is £385.00. A Non-Refundable Deposit of £50 is required to secure all bookings, via PayPal, debit/credit card or cheque. The balance, plus a refundable Security Deposit of £50 is to be paid 2 weeks before the date booked. Booking-in time for Arrivals is 4pm. 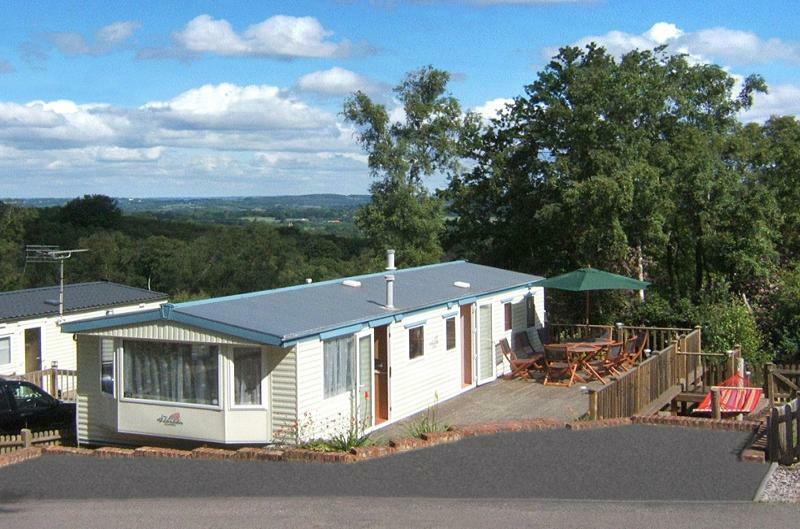 The caravan should be vacated by 10am on the day of departure to allow time to prepare the accommodation for the next guests. Last Minute Bookings are sometimes available, - please enquire for availability.